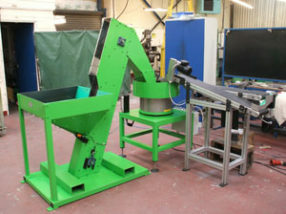 Our range of machines include Vibratory Bowl Feeders, Linear Feeders, Pick and Place Units, Conveying Systems, Billet Feeders and more. 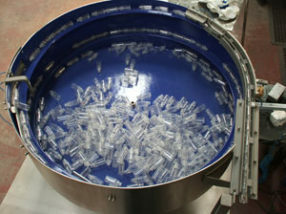 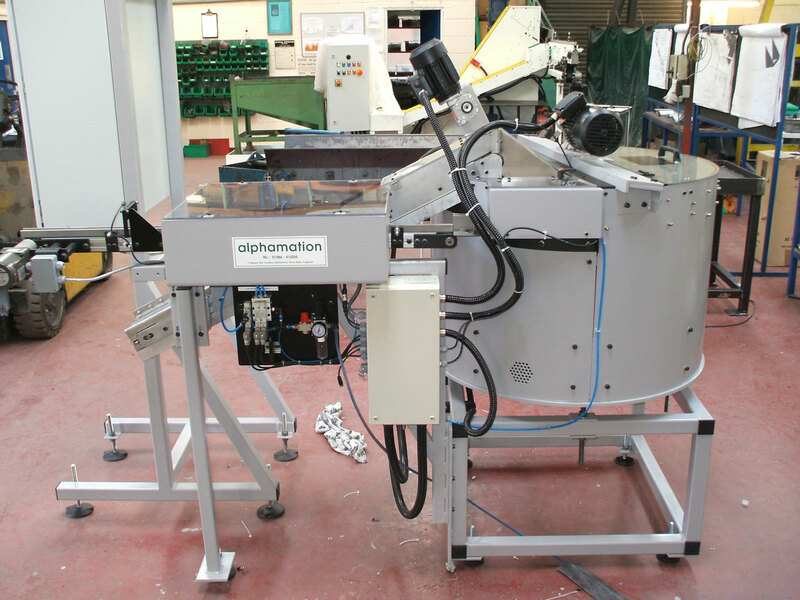 Alphamation are specialists in component feeding and handling of mass produced parts, nuts, bolts, studs. 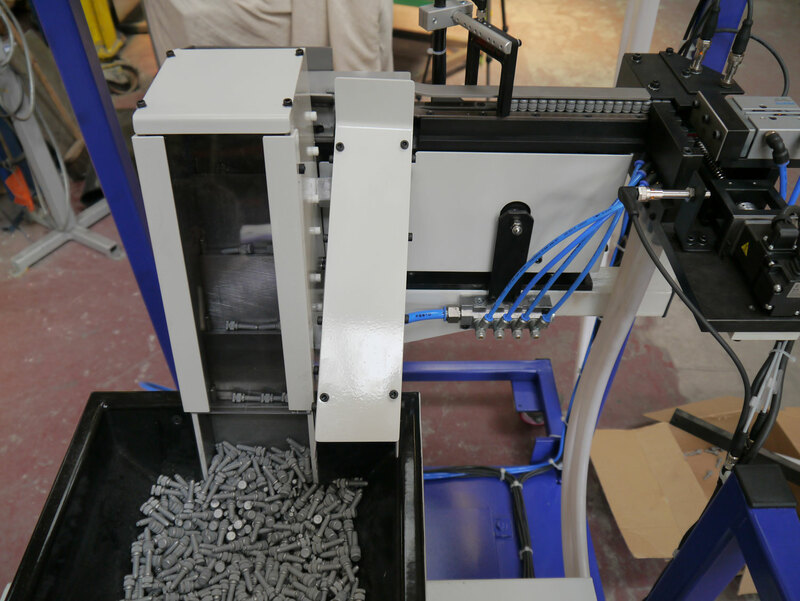 lids, stampings, pressings, castings, forgings, mouldings, clips, brackets, tablets, pills, lozenges, foods stuffs, powders and plastics. 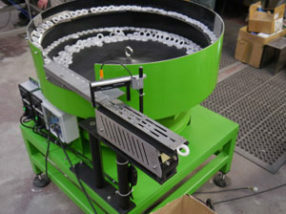 Our electrically operated vibratory bowl feeders are based on the principle of resonant frequency vibration. 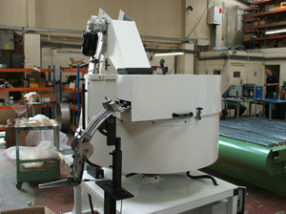 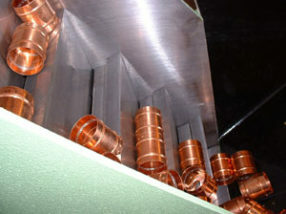 Vibratory linear feeders are primarily used for transferring pre-orientated components. 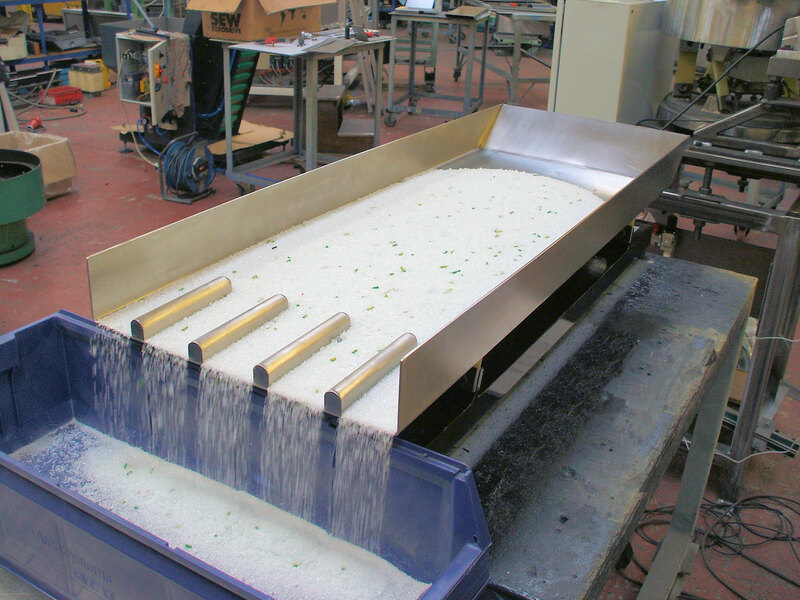 Vibratory trough feeders are ideal for bulk feeding granular, flake or powdered products. 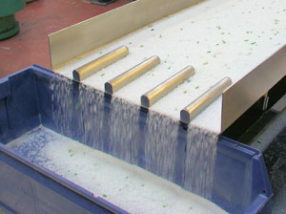 Slatted belt elevators are typically used for bulk feeding or elevating mass produced parts. 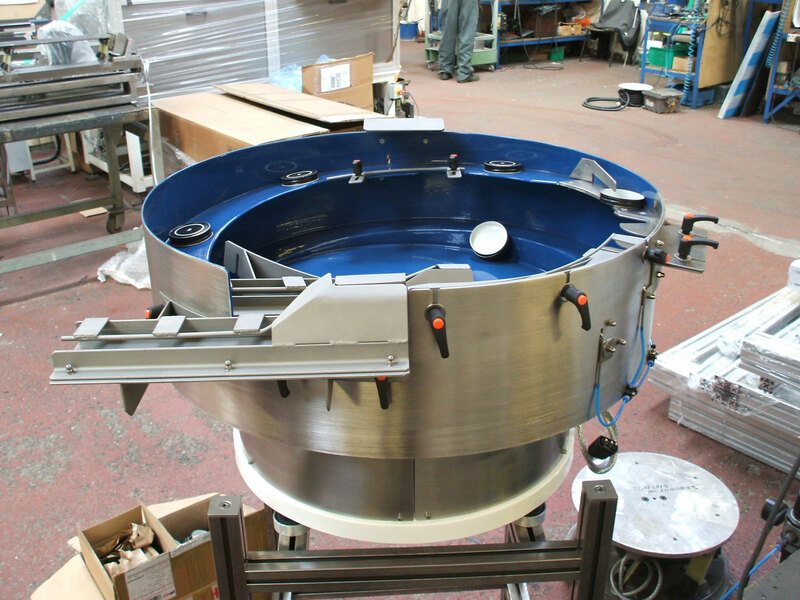 The Alphamation range of centrifugal feeders are non vibratory and operate by a continuous rotary motion. 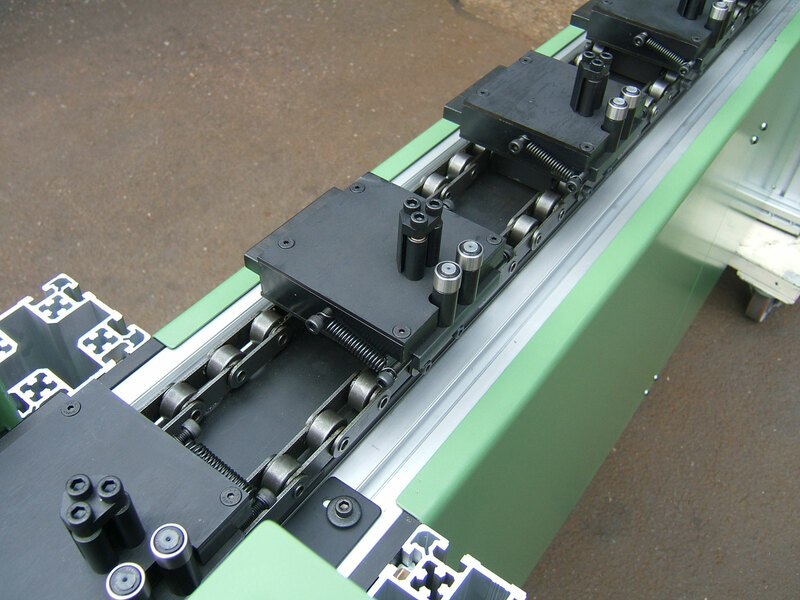 The reciprocating movement is electrically, pneumatically or hydraulically powered, depending on the application. 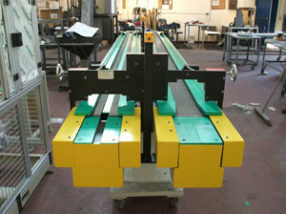 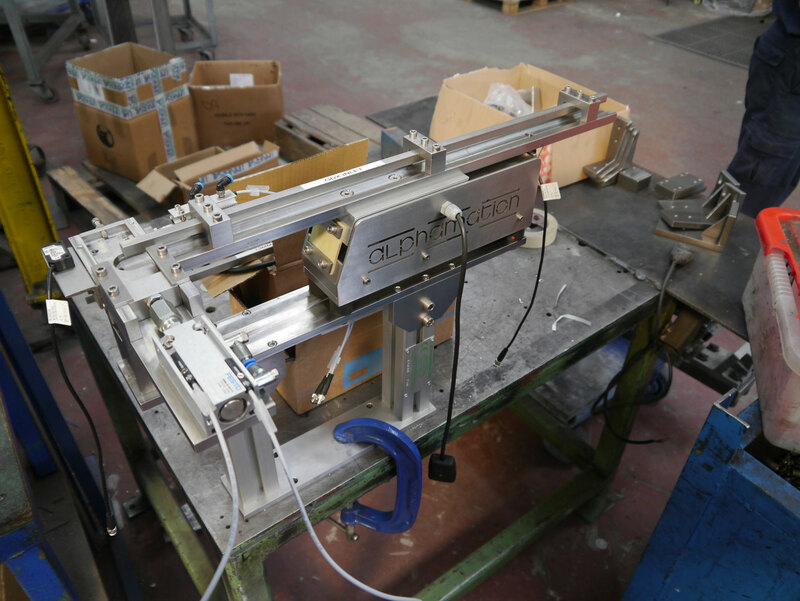 We manufacture bespoke conveyors for a wide variety of custom applications.